Tue., Oct. 31, 2017, 1 p.m.
Derek Baziotis grew up in the restaurant industry and has been cooking professionally since 2006. 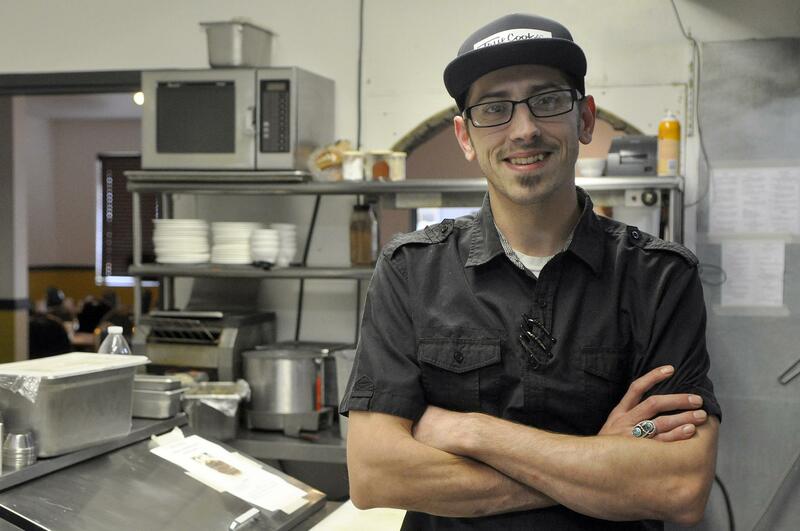 He got his start at his parents’ breakfast joint and now owns Bene’s, in Cheney, with his wife, Alexx. What’s your favorite dish to cook at home? Steak. Where do you eat when you eat out? Love switching it up! Nowhere in particular. Who or what inspired you to become a chef, and how? The people who have inspired me are my father and mother, who own Kalico Kitchen. Working there and learning and having that experience at a young age is something that I think gives me a huge advantage. Chef Bill Allen influenced me and instilled in me the basic foundation of how to run a kitchen. Chef Justin O’Niell at the Boiler Room has taught and inspired me a lot, and owner Matt Goodwin really took me under his wing and showed me the ins and outs of the restaurant business. What are your go-to ingredients? Spices from Spiceology. What was the first dish a customer ever sent back to you, and how did you handle it? Well, I was a culinary specialist in the U.S. Navy, and I wouldn’t necessarily call them customers, but I would always handle food that came back with the attitude that the customer is always right. If they think it’s overcooked, undercooked, too salty or too bland then that is how they taste it and we fix it for them right way. What’s a dish you’ve never made but would like to, and why I would love to get into Italian cooking. Not sure why but scratch pasta looks like an art, and I would love to learn how to make great pasta. What dish or ingredient best represents you? Well, I’m a breakfast guy so naturally I’m going with the egg. Funny thing is I am egg-intolerant, so there’s that! Place all ingredients in a blender, mix well and serve on tacos. Published: Oct. 31, 2017, 1 p.m.